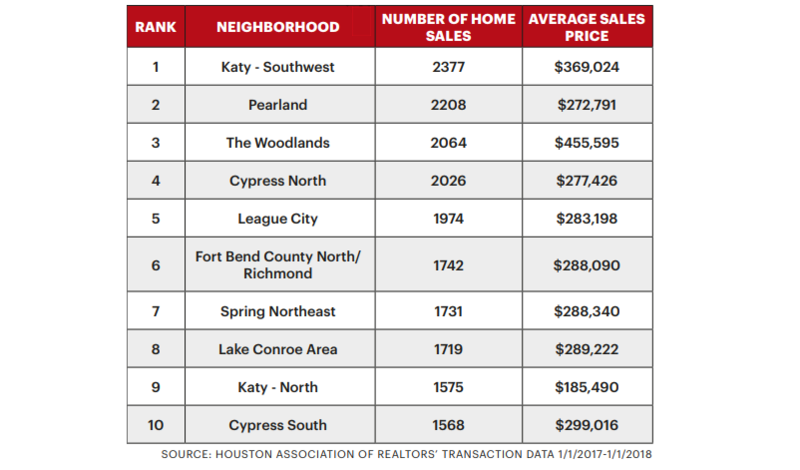 ​​​​​​​​​​HOUSTON – These were ​Houston’s top ten best-selling neighborhoods in 2017. ​Find the full story ​in March 30-April 5, 2018 Vol. 48 No. 48 PDF edition, page 44.​ You must be a subscriber.